HomeBlogArchitectureGraz Art Museum, step into Blobitecture. Located in Graz, Austria, the Graz Art Museum was built as one of the projects that took place in the city when the latter served as “European Capital of Culture” in 2003. 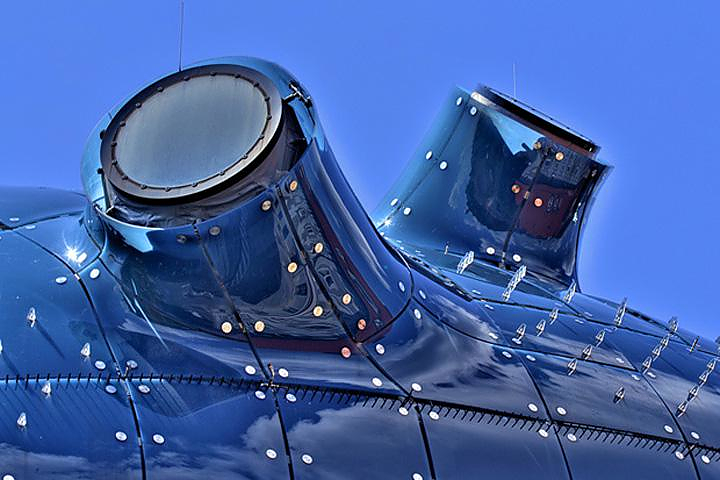 Designed by London based architects Peter Cook and Colin Fournier, it is both an important art foundation and a prominent local landmark. Due to its extraterrestrial appearance it is often referred to by local as the “Friendly alien”. Its exhibition premises house a permanent collection of modern art exhibits, and from time to time various “guest exhibitions” of artistic interest. The aesthetics of the building follow the peculiar architectural school known as “blob architecture” or “blobitecture”, based on organic shapes, blobitecture is expressed through unique buildings that resemble the shape of protozoa organisms such as the amoeba. 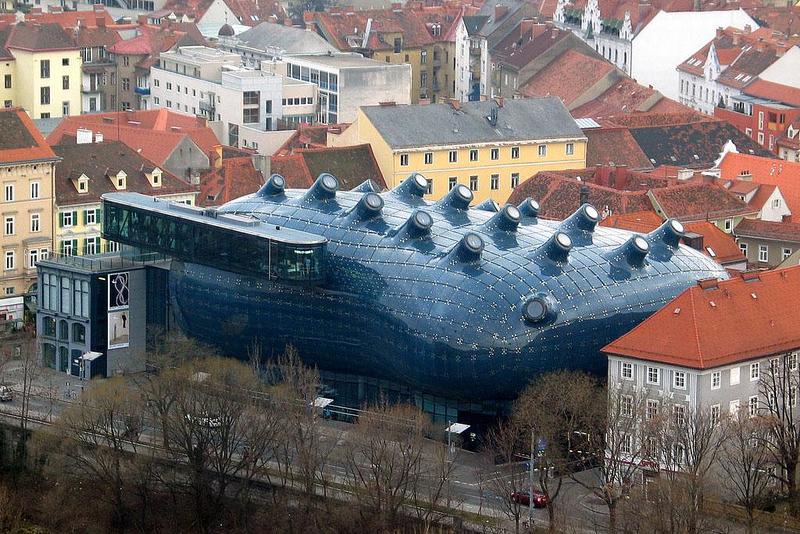 The Museum is considered one of the most important landmarks in Austria and even though it is not among the most advertised museums of modern art in the world, it certainly is one of those with the greatest architectural interest. 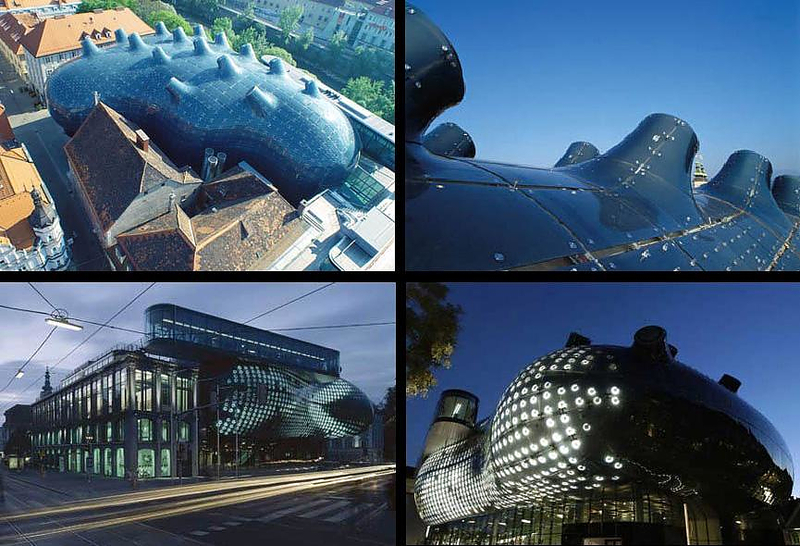 Among the small and traditional houses of Graz with the classic Austrian aesthetics, the enormous organic building looks as if it landed there from space and the eerie image is reinforced even further by the surroundings.